Odds-on, the majority of visitors here aren’t just looking to read Skinny’s latest race report, as entertaining as they are. A visit to most sailing club websites is going to be a search for information, and probably trying to find results for racing and see what racing is upcoming. We do have a major regattas page where we’ll link to a page dedicated to that event, a bit like a micro-site. The event pages will contain links to notice of race, entry forms and/or online entry when applicable, race reports and results, and photo galleries. Of course some of these posts will appear at the top of our feed when they occur, but over time they’ll bubble down and be lost from view, so bookmark our regattas page for easy reference! But for our regular racing, where can you find out this important stuff? Fear not skiffnuts, the information is here – it just may be hard to find! Racing Calendar – actually a little more than just a race calendar, this actually shows all of the club events scheduled. You can show it by month, or upcoming events only. 18s Race Calendar and Results – this is a discrete table of the 18ft skiff season calendar, and will be updated with links to the race results by race day as they are finalised. 12s Race Calendar and Results – this is a discrete table of the 12ft skiff season calendar, and will be updated with links to the race results by race day as they are finalised. 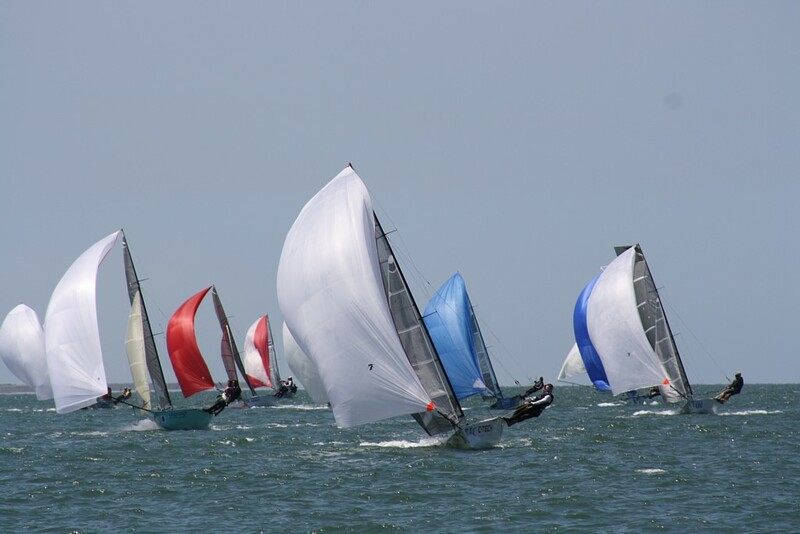 10s Race Calendar and Results – this is a discrete table of the Historical 10ft skiff season calendar, and will be updated with links to the race results by race day as they are finalised. While the cricketers may be content to let the sledging stay on the field, there’s plenty of trash talk that happens both with the 12 and 18ft skiff fleets, but also between them. Using the same Racing heading as noted above, if you click on either the “18ft Skiff News & Reports” or “12ft Skiff News & Reports“, then you’re filtering all of the posts tagged with these categories. Slowly but surely we’re getting our crews “out there” with a little bit of background information. Click on the “18s Crew Profiles” or “12s Crew Profiles” to see who’s who in the zoo. For all of the other news, we use the category called “News and Events” and unsurprisingly you’ll find these posts under the menu item of the same name. If you still need help, contact the webmaster via our Contact page.